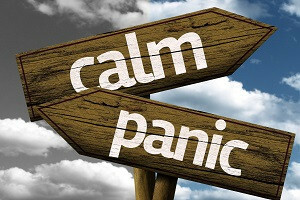 Tips to stay calm and reduce anxiety before the big day. You and your doctor agree that it’s time for back surgery. You’re hopeful this will be the solution you need; however, you may still be plagued with indecision, uncertainty, or fear of surgery. Rest assured, you are not alone. Our patients tell us again and again that the days leading up to surgery are filled with anxiety. Here are tips on how to stay calm and focus on a positive outcome. Mind over melancholy. Often, it’s our own thoughts that get us the most wound up. From imagining the worst to an “all or nothing” mentality, it can be hard to slow your mind down and focus on the positive. It also helps to visualize a calmer you. If you can see yourself relaxed and comfortable, your body will naturally start to lower your heart rate, respiration rate, blood pressure, and muscle tension. For more on the power of positive thought and how to change your focus check out this article. Knowledge is power. The more you know and understand about what to expect from back surgery, the more at ease your mind will be. Make sure you’ve made a list of your questions and gone through them with your surgeon. While doing online research can be helpful, try to stick to reputable websites (one of our favorites is spine-health.com) to keep from exacerbating your concerns. Don’t do it alone. Look to friends and family members for support and lean on them as needed. Share your fears and ask them to help you focus on positive thinking. You may want to bring a consistent person to all your appointments to help ensure your questions are all asked and you have someone to document the answers while you talk with the doctor or surgeon. Make a plan. In a situation that feels out of your control, spend time thinking about what you’ll need after surgery. Can a friend or family member help pick up prescriptions, groceries, etc.? Having some of those small, but important, tasks already handled will help. Find someone who’s been there. Our most trusted resources are generally people who have gone through a similar situation as ours. Speaking with someone who has recently gone through a back surgery and can walk you through what to expect could make a big difference. At The Better Way Back®, we pair spine patients with an ambassador who can answer their questions and provide them with direct, one-on-one support. Check out our program, it could be right for you. While there is no guaranteed solution to quell the anxiety of back surgery, we hope implementing a few of these tips will ease your mind. If you’ve previously been through a back surgery, feel free to share your own tips and tricks in the comments below.